Issuing Store Credit as Part of a Return – How can we help? 1. Head to Sell -> Sales History and find the sales record for the returned product. 2. Once you've located this, click the return button on the right to bring the return to the sell screen. Important: Make sure the customer is attached to the return. If you did not attach your customer to the original sale, you need to add them now so you can place the store credit against their customer account. 4. You should now be on the payments screen. To issue this returned amount as store credit, click the blue Store Credit button at the bottom of the page. 5. This completes the return and adds store credit, equal to the value of the returned item, to your customer's account. 6. 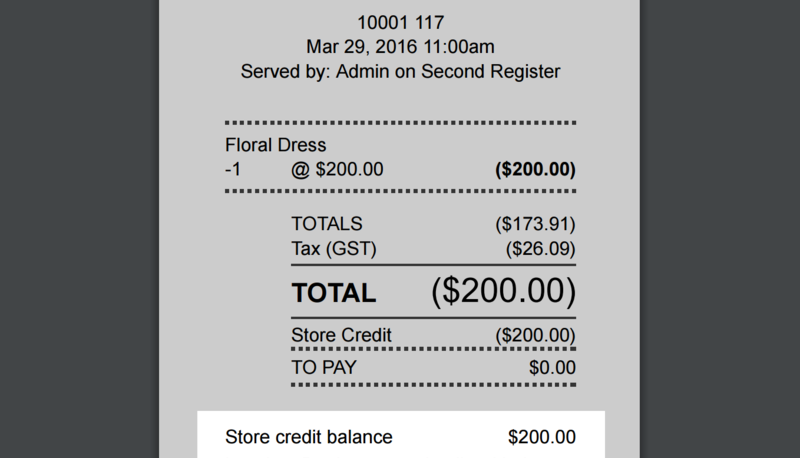 You can also see that the receipt for this return includes the current store credit balance of the customer.